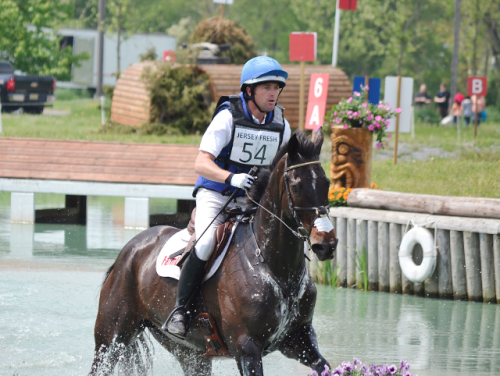 Will Faudree and Andromaque won the CIC 3* at Jersey Fresh this weekend. Photo by Jenni Autry. Good morning, EN! I hope all of you enjoyed the coverage from Jersey Fresh over the weekend, and everyone at least acknowledged Mother’s Day to the woman who gave birth to them. I love my mom dearly, and will credit her to giving me my start with horses. She bought my first horse, Dusty, an ill-mannered Quarter Horse, and at 15.3 h, inappropriately tall for a seven-year-old. She was never the mom who followed me around with a cloth to shine my boots, in fact I made up most of her Pony Club mandatory volunteering hours, but she is the reason that I’m still riding and with horses today. King Oak Farm Spring H.T.